Weapons supplied to the Saudi and Emirati governments by the United States and other Western nations are ending up in the hands of al-Qaeda-linked Sunni militias in Yemen, according to two separate investigations. The weapons are being supplied to the militaries of Saudi Arabia and the United Arab Emirates by the West on the understanding that they will be used in the war in Yemen. The war has been going on since 2015, when a alliance of rebel groups from Yemen’s Shiite communities formed the Houthi movement, which quickly seized control of much of the country. The Houthis effectively toppled the government, prompting a reaction by a coalition of Sunni Arab states, which see the Shiite movement as an Iranian front. In an effort to restore Yemen’s Sunni-dominated government, Western countries have supplied Saudi Arabia and the United Arab Emirates with more than $5 billion-worth of weaponry. However, a report published this week by Amnesty International alleges that some of that weaponry, including machine guns, mortars and even armored vehicles, are being deliberately diverted to Sunni militia groups in Yemen. Among them are three militias that are known to be supported by the government of the Emirates, namely the Giants, the Security Belt and the Shabwani Elite. These groups, says Amnesty, have been seen using Western-supplied weaponry in the field of battle and in their compounds throughout Yemen. In its report, the human-rights group says that these groups are not accountable to any government and have been linked to serious war crimes against civilians. Meanwhile, a separate investigation aired this week by CNN claims that American-manufactured weaponry and materiel given by Washington to the Saudi and Emirati militaries is ending up in the hand of Salafist militias in Yemen. The report names the Sunni Abu al-Abbas Brigade, which is closely linked to al-Qaeda in the Arabian Peninsula (AQAP). The CNN report also claims that some of the American weaponry has fallen in the hands of Houthi fighters. On Wednesday the BBC quoted a senior American general who said that the Pentagon plans to investigate whether American and other Western-supplied weapons are being illegally diverted into the hands of non-state Sunni militias in Yemen. The government of the United Arab Emirates has not commented on the reports. 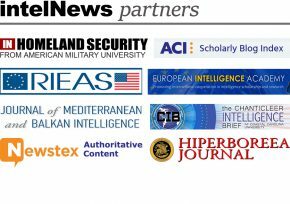 As intelNews reported last August, an investigative report published by the Associated Press claimed that senior AQAP commanders were on the payroll of US-backed Sunni militias in Yemen and that its fighters were being recruited to fight against the Houthis. The report also argued that Washington was privy to the secret agreements between Yemen’s Sunni militias and AQAP. Yemeni militias backed by Saudi Arabia, the United States and the United Arab Emirates are actively paying off al-Qaeda-allied factions to abstain from the fighting, and are recruiting al-Qaeda members to fight against Shiite rebels, according to a new investigative report. Ever since 2015, when the civil war in Yemen broke out, the US, along with its Arab allies UAE and Saudi Arabia, has supported Sunni troops in their war against Shiite Houthi rebels. The latter are believed to be supported by Iran, and the US-backed coalition is engaged in an effort to curtail what it sees as Iranian expansionism in the Middle East. But Iranian-supported fighters are just one of the many well-armed factions involved in the Yemeni Civil War, which Washington is ostensibly against. Another such faction is Al-Qaeda in the Islamic Peninsula (AQAP), believed to be the strongest surviving branch of the group that carried out the attacks of September 11, 2001. For several years now, the US-led coalition in Yemen has argued that its forces have severely limited AQAP’s strength and ability to fight, and that the group’s territorial control has been shattered. But a new investigative report published on Monday by the Associated Press argues that the reason why AQAP’s activities appear to have decreased in Yemen, is that its commanders are being bribed by US-backed Sunni militias and that its fighters are being recruited to fight against the Houthis. As strict Sunni Salafists, AQAP members view the Shiite Houthis as apostates and enemies of Islam. They are therefore “effectively on the same side as the Saudi-led coalition” in Yemen, note the editors of the Associated Press report. Citing “interviews with two dozen officials, including Yemeni security officers, militia commanders, tribal mediators and […] members of al-Qaeda”, the report’s authors say that US-backed Sunni militias “actively recruit al-Qaeda militants […] because they’re considered exceptional fighters”. The Associated Press report also claims that the Sunni coalition has struck a series of secret agreements with AQAP, under which it paid off its fighters to abandon several Yemeni towns that were under their control. Upon leaving, these AQAP fighters were allowed to take with them tons of military equipment and valuables, including cash. In one case, AQAP was bribed to abandon the port city of Mukalla, Yemen’s fifth-largest urban center, and its fighters were allowed to keep their weapons and up to $100 million in looted cash deposits, said the Associated Press. In another case, AQAP militants were paid off to leave several towns in Yemen’s Abyan province, and 250 of them were incorporated into the so-called Security Belt, a Sunni militia backed by the government of the UAE. The AQAP fighters reportedly told their Security Belt commanders that they would “unite with the devil [himself] in the face of Houthis”. The Associated Press notes that there is no evidence that funds supplied to Yemeni Sunni militias by the US have ended up into the hands of AQAP. Additionally, the US government has repeatedly denied accusations by Russia, Syria, and others that it supports various al-Qaeda factions. However, the Associated Press argues that the US Pentagon has been privy to the secret agreements between the Sunni militias and AQAP, which some say may end up strengthening al-Qaeda’s most formidable local branch anywhere in the world. The United States says a ship carrying hundreds of weapons, which was captured by the French Navy in the Indian Ocean, originated from Iran, and that the cargo was destined for Yemeni rebels through Somalia. The ship was seized on March 20 by a French warship patrolling the Indian Ocean as part of the Combined Maritime Forces (CMF). The CMF is a multinational naval fleet that aims to implement United Nations sanctions on Somalia. The sanctions are designed to frustrate the activities of al-Shabaab, an al-Qaeda-linked Somali militant group, and to put an end to maritime piracy in the Horn of Africa. The ship carrying the weapons is believed to have been initially spotted by a French helicopter that was conducting surveillance flights in support of CMF’s mission. Soon after boarding the ship, French forces discovered large amounts of weaponry. A statement posted on the CMF website said that the ship was found to be carrying “several hundred AK47 assault rifles, machine guns and anti-tank weapons”. The French Ministry of Defense said that the vessel was not registered to any country and that the crew of 10 was multinational. All crew members were released after being questioned by their French captors. An assessment of the ship’s capture by the US Department of Defense states that the arms shipment probably originated in Iran and that it was heading to Somalia. However, the most likely final destination of the cargo was not al-Shabaab, but Houthi rebels in Yemen. Iran is known to be supporting and funding Houthi rebels, who are Shiite and are fighting a bitter civil war against the country’s Saudi-supported Sunni government. It is worth noting that the recent capture of the unregistered vessel is the third such seizure of a large cache of weapons heading for Yemen through Somalia since September. In the previous most recent case, an Australian Navy ship sailing off the coast of Oman intercepted a large cache of weapons being transported to Yemen. US sources speculated that the intercepted ship originated from Iran and was heading to Yemen. American intelligence officials have cautioned against the popular narrative that Yemen’s Shiite rebels are proxies or Iran, noting that Tehran actually counseled them against conquering Yemeni capital Sana’a last year. Known as Houthis, the group formally calls itself Ansar Allah (Supporters of God) and consists almost exclusively of Zaidi tribesmen, who follow an obscure form of Shia Islam. Their denomination, which distinguishes them from Yemen’s Sunni majority, shapes their ethnic identity and has helped fuel their 20-year insurgency against the Yemeni state. In September of last year, Houthi rebels, taking advantage of the chaos caused by the spillover of the Arab Spring into Yemen, marched into Sana’a, which had been virtually abandoned by the government’s security forces, and took it over. The surprising move caused many in the Middle East to accuse Iran, whose Shiite government maintains strong religious and ideological connections with Yemen’s Zaidi community, of using the Houthis as a proxy army in order to destabilize Saudi Arabia’s southern regions. The latter are also populated by Shiite tribes, who are ethnically affiliated with the Houthis and view Iran as a kind of spiritual homeland. In Washington, the alleged Iranian link to the Houthi insurgency has been pointed to repeatedly by lawmakers opposed to the recent agreement between the Islamic Republic and a group of nations that have come to be known as P5+1, representing the five permanent members of the United Nations Security Council plus Germany. The lawmakers argue that, while nominally agreeing to end its nuclear program, Tehran has been secretly conspiring to destabilize the entire Arabian Peninsula. However, a report in online news agency The Huffington Post said on Monday that American intelligence officials are far from convinced that Iran is actually directing the Houthi insurgency. Citing “American officials familiar with intelligence” operations in Yemen, the New York-based news agency said Iran actively opposed the Houthis’ advance on the Yemeni capital in September of last year, and tried to prevent it. The Houthis, however, simply ignored Tehran’s advice and took over Sana’a. The Huffington Post quotes one unnamed American intelligence official who says that “it is wrong to think of the Houthis as a proxy force of Iran”. The article also quotes Bernadette Meehan, spokeswoman for the United States National Security Council, who says that “it remains [the NSC’s] assessment that Iran does not exert command and control over the Houthis in Yemen”. If it is accurate, the US intelligence assessment would mean that Tehran is far more interested in promoting its agreement with the P5+1 than commandeering a proxy war in Yemen. Additionally, those who suggest that Yemen’s Houthis are guided by Iran appear to ignore the fact that the Zaidis follow a branch of Shiite Islam that differs markedly from Iran’s. Knowledgeable observers have pointed out that the Houthi insurgency is far more concerned with combatting local government corruption and having a say in the country’s internal power struggles than promoting Shiite Islam in Yemen and beyond. ►►CIA said to have bought Iraqi chemical weapons. The CIA, working with US troops during the occupation of Iraq, repeatedly purchased nerve-agent rockets from a secretive Iraqi seller, part of a previously undisclosed effort to ensure that old chemical weapons remaining in Iraq did not fall into the hands of terrorists or militant groups, according to current and former US officials. The extraordinary arms purchase plan, known as Operation AVARICE, began in 2005 and continued into 2006, and the US military deemed it a nonproliferation success. ►►CIA fears enemy will gain control of the weather. The CIA is worried that a foreign power may develop the ability to manipulate the global climate in a way that cannot be detected, according to Professor Alan Robock, a leading climatologist. Robock claimed that consultants working for the CIA asked him whether it would be possible for a nation to meddle with the climate without being discovered. “At the same time, I thought they were probably also interested in if we could control somebody else’s climate, could they detect it”, he said. ►►CIA scales back presence and operations in Yemen. The closure of the US Embassy in Yemen has forced the CIA to significantly scale back its counterterrorism presence in the country, according to US officials, who said the evacuation represents a major setback in operations against al-Qaeda’s most dangerous affiliate. The spy agency has pulled dozens of operatives, analysts and other staffers from Yemen as part of a broader extraction of roughly 200 Americans who had been based at the embassy in Sana’a, officials said. The departures were triggered by mounting concerns over security in Yemen’s capital, Sana’a, where Houthi rebels have effectively toppled the government. Shiite rebels, who are in control of most of Yemeni capital Sana’a, released the country’s intelligence chief a few hours after abducting him from his home, according to local sources. The chief, Major General Yehia al-Marani, directs Yemen’s Political Security Organization (PSO), and is regularly referred to as the second most powerful security official in the country, after the director of the country’s National Security Bureau. The Associated Press reported early on Thursday that about 20 armed militia members appeared outside al-Marani’s home in Sana’a at daybreak and demanded that the general come with them. The PSO chief ordered his bodyguards to lay down their weapons and then went away escorted by the rebels. Al-Marani’s kidnappers were almost certainly Houthi militiamen, who are members of a Shiite militant group known as Ansarullah. The Houthis, who come from western Yemen, have been engaged in a secessionist armed struggle since 2004 against the Sunni-dominated Yemeni government. Last September, they took advantage of the power-vacuum created by the collapse of the regime of longtime dictator Ali Abdullah Saleh and stormed the Yemeni capital, easily taking control of it within a few days. Their official reason for the takeover was their expressed desire to force President Abed Rabbo Mansour Hadi, who succeeded Saleh, to dissolve Yemen’s Sunni-led government, which the Houthis said was closely connected with al-Qaeda in the Arabian Peninsula (AQAP). After a period of prolonged negotiations with the rebels, President Hadi dissolved the government and replaced it with a more inclusive group of non-partisan technocrats. But the rebels refused to disband and disarm, and have since intensified their armed campaign, taking over a number of Yemeni cities and several major roads across the country. The Houthi leadership claims that they need to remain armed in order to fight militant Sunni groups operating in the country, and to battle corruption. Al-Marani was released by the rebels late on Thursday, with no explanation given as to his earlier abduction. It is believed that, before his appointment as head of PSO, the General served for 15 years as the Organization’s regional director in Sa’dah province, a Shiite stronghold where the Houthi insurgency has its roots. Some speculate that the rebels intended to settle old scores with al-Marani. Yemen government officials have refused to confirm or deny the reports of the Generals’ abduction and release. Troops in Yemen shot dead five men, believed to be members of al-Qaeda, who tried to pass through a security checkpoint disguised as women. The incident reportedly happened on Saturday at an emergency roadside checkpoint set up by Yemeni troops in Harad, a dusty desert town located 10 miles south of Yemen’s border with Saudi Arabia. According to official reports, a minivan drove up to the checkpoint carrying what appeared to be six women, which was heading toward the Saudi border. All passengers were dressed in black robes and wore the niqab, a black cloth used to hide the face and worn along with the hijab, which typically covers a woman’s hair. The niqab is worn in several Arab countries, including Yemen, Saudi Arabia, Oman, and Bahrain. Yemeni soldiers conferred briefly with the male driver of the vehicle before one of them climbed onboard the minivan for a routine inspection. At that moment, one of the minivan passengers opened fire at the soldier, wounding him. The rest of the members of the inspection unit then opened fire on the passengers, killing five of them. Following the incident, the Yemeni soldiers discovered that the minivan’s passengers were all men and had been armed. An official speaking at a press conference later that day reported that at least two of those killed were Saudi citizens. He added that one of the passengers, who was also disguised as a woman, survived, as did the male driver of the minivan. All are believed to be members of al-Qaeda in the Arabian Peninsula (AQAP), an armed Islamist movement that is widely seen as the most formidable branch of al-Qaeda anywhere in the world. 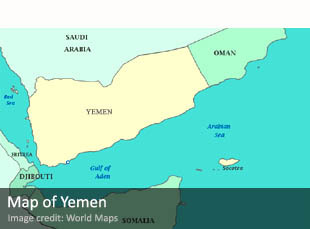 Following the 2011 uprising in Yemen, which was part of the Arab Spring, AQAP took advantage of the collapse of the Yemeni state and took over large swathes of territory in Sunni-dominated eastern and southern Yemen. These areas are still considered AQAP strongholds today. Security forces in Yemen often conduct roadside inspections, but they rarely enter vehicles carrying women, in an attempt to respect tribal customs in what is a very conservative part of the Arab world. Authorities in Harad said on Saturday that, following the shootout, a suicide belt and several weapons were discovered onboard the minivan. The surviving passenger is being questioned, along with the driver of the vehicle.